Are you looking for love in all the right places? From the High Country to the Lowcountry, the ​Southeastern part of the United States is a great destination for memorable romantic getaways during all seasons. Whether you want to hit the slopes or just enjoy a truly relaxing retreat together, this list will give you some ideas on how to spend quality time with your beloved in this part of the country. Take your relationship to new heights in the mountains of the Southeastern United States. Here you'll find picturesque vistas, an array of invigorating outdoor activities, and several exquisite romantic resort destinations. 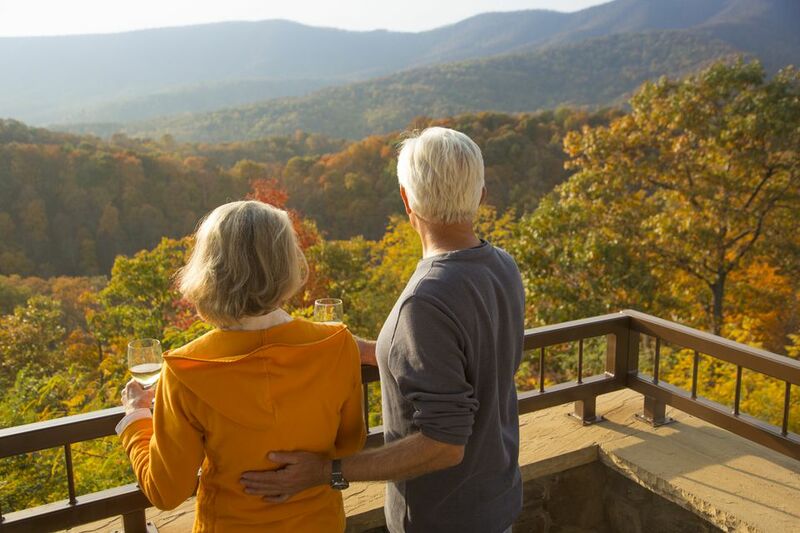 Indulge at one of the top-rated mountain retreats, each offering special amenities for a memory-making romantic getaway in the Southeast. Consider booking a culinary adventure to add some sizzle and spice to your love life. The growing popularity of culinary travel has prompted many resorts, restaurants, and specialty shops to invest in top-of-the-line teaching kitchens where participants can enjoy an array of new and exciting ​​cooking classes and other culinary demonstrations. This is a great way for couples to enjoy new food and wine experiences. Add some sparkle to your relationship with diamonds. The American Automobile Association (AAA) ​Five Diamond award-winning hotels and ​resorts offer the ultimate in luxury and provide an array of ideal settings for a special romantic getaway in the Southeast. After all, who doesn't appreciate diamonds? Pamper your body, your mind, and your relationship in these lush and picturesque landscapes of the Southeast. The region's mountains, farmlands, and coast have provided inspiration for artists, storytellers, and travelers. Drawing from the area's bountiful and diverse natural resources, many of the spas in the Southeast have been inspired, as well, to create luscious signature treatments and nature-based therapies from the fragrant gardens, fresh mountains, verdant farmlands, and balmy coastlines of the region. Another option is to wine and dine together during a romantic city getaway. Restaurant Week events take place in several cities throughout the Southeast and offer special fixed-priced menus at various venues throughout the year. Participating restaurants may choose to offer restaurant week menus at lunch, dinner, or both, making these culinary celebrations a great way to enjoy wining and dining for less. The ​wine trails of Virginia, home to more than 200 wineries, meander along scenic routes and near historic towns. They're convenient to some of Virginia's popular attractions and offer a nice way to explore the region. Many wineries have year-round visiting hours and host special seasonal events. Go loco for cocoa together. Enjoy the delicious taste of chocolate during your visit to the Southeast. Whether you and your sweetie are true chocophiles or just have a casual appreciation for the delights of wonderful chocolates, this there are a variety of chocolate festivals and events in the Southeast is sure to whet your appetite. Southeast winter wonderland destinations are great for skiing and a little cozy snuggling. There are more than 15 ski resorts ​to enjoy in the mountains of the Southeastern United States. From full-service resorts with onsite lodging and luxurious spas to smaller ski areas that are ideal for a day of skiing, snowboarding, and snow tubing, the ski resorts of the Blue Ridge Mountains, the Great Smoky Mountains, and the Allegheny Mountains offer romantic winter destinations.